It provides 268mg of natural D-alpha-tocopherol Vitamin E per softgel. It provides 1000IU of vitamin E per serving. Vitamin E in tablets. It provides 12mg of vitamin E per daily dose. Slow release. It provides 267mg of DL-alpha-tocopheril Vitamin E.
268mg of Vitamin E per capsule. Cream with Vitamin E, Aloe Vera, Rhodiola and vegetable oils to offer maximum skin moisture. 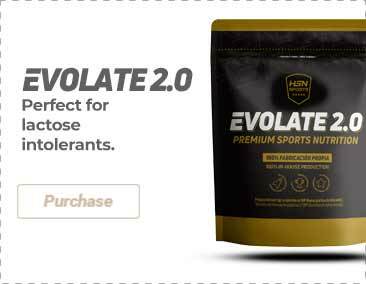 Pre-workout formula, with TeaCrine® and Caffeine. I've got some skin problems and this product has definitely made a difference, helps specially with the itchiness. Never took care of my skin before, now I have less acne and my skin feels better overall. I've been looking for a natural supplement to help me with my periods, after a month I could clearly notice its effects. Studies have proven that only a 50 percent of the population consumes enough vitamin E through food to meet the basic daily requirements. Vitamin E, also known as alpha tocopherol, is regarded as the authentic fountain of youth. It works as a powerful free radicals absorber, which delays the aging process, protects the heart and arteries, increases fertility, and stimulates the functioning of the immune system. Vitamin E is a true fountain of youth for cells, since it protects cell membranes from oxidation and therefore prevents their destruction. Apart from its antioxidant effect, vitamin E has multiple benefits for the heart, blood, muscles, nerves, and body tissues. Vitamin E has anti-inflammatory and cytoprotective benefits, and it also promotes fertility. As a result, vitamin E is not only important for the sick and couples who want to have children, but it also offers general protection from the development of serious diseases, such as tumors or myocardial infarction. Vitamin E is found in 8 different forms: four tocopherols (α-, β-, γ-, and δ-) and four tocotrienols (α-, β-, γ-, and δ-). Alpha tocopherol is the only active form for the organism, which is the reason why it is found in greater quantities in the blood and tissues. Vitamin E forms part of the cellular membranes and protects them from oxidation. Apart from being the most important antioxidant agent, it also protects the organism from the free radicals generated by metabolic processes or environmental factors. Vitamin E strengthens the immune system, protects against harmful fat deposits in blood vessels and maintains and repairs the muscles, nerves, skin, hair, and mucous membranes. Vitamin E improves the circulation and flow of the blood. Due to its anti-inflammatory effect, vitamin E is essential to combat rheumatic diseases. Studies have revealed that only a fifty percent of the population consumes the necessary amounts of vitamin E needed by the organism. Since vitamin E cannot be generated by the organism, it must be supplied through the diet. Vitamin E is mainly contained in plants and vegetable oils. 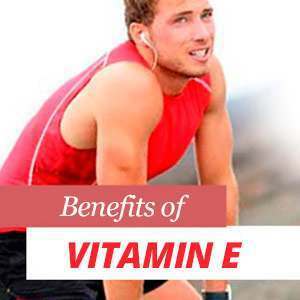 Who can benefit from Vitamin E? The basic function of vitamin E in the human body is its antioxidant effect. Vitamin E absorbs the free radicals that are generated by the metabolism or from the environment, protecting the cells from their destruction by oxidation. Another of its benefits is its ability to protect from the formation of blood clots and from plaque and fat deposits on the inside of blood vessels. Vitamin E also has anti-inflammatory effects and is involved in the metabolism of nucleic acid and amino acids. Vitamin E is mainly found in plants, which is the reason why products of vegetable origin are the ones with higher levels of vitamin E. We can also find vitamin E in foods of animal origin, but in much lower concentrations. The main sources of vitamin E are vegetable oils and fats. But seeds, nuts, unprocessed cereals and certain vegetables, such as avocados, have a lot of vitamin E.
Around a fifty percent of the population does not meet the daily requirements of vitamin E. Although health authorities recommend a daily intake of 12 to 14 milligrams of vitamin E, clinical studies advise that the daily dose should be from 200 to 800 IU (international units) in order to prevent the development of several diseases. 100 IU equals 67 milligrams of vitamin E.
It is important to know that this daily dose is the minimum of vitamin E that can be consumed to prevent acute deficiency symptoms, but this is not enough to promote health and vitality. Using dietary supplements will not only helps us meet the daily requirements of vitamin E but it can also help keep us healthy. Vitamin E dietary supplements consumed in the recommended doses do not produce side effects. If you are using other supplements, medications, or if you are pregnant or breastfeeding you should first consult your doctor or nutritionist before consuming vitamin E supplements. Since vitamin E cannot be produced by the organism, it must be supplied through food or dietary supplements. A clinical study conducted with 40.000 participants revealed that LDL cholesterol is harmless, as long as there is enough vitamin E to counter it. The participants in the study who consumed vitamin E regularly experienced a reduction of heart diseases of a thirty-seven per cent. The latest studies have found that women who consume little vitamin E during pregnancy, increase the possibility that the child will suffer from asthma in the future.